We’d love your help. Let us know what’s wrong with this preview of Best Singaporean Short Stories 1 by Jason Erik Lundberg. This volume collects some of the best short fiction written by Singapore's most imaginative minds, including Balli Kaur Jaswal, Jeremy Tiang, Cyril Wong and more. Over the past decade, Singaporean literature has experienced a massive sea change, with the short story form enjoying a powerful renaissance. As a result, an explosion of fiction from the island-nation has erupted This volume collects some of the best short fiction written by Singapore's most imaginative minds, including Balli Kaur Jaswal, Jeremy Tiang, Cyril Wong and more. 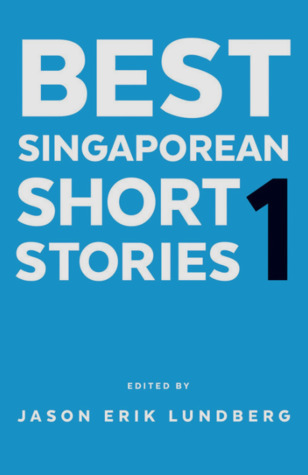 To ask other readers questions about Best Singaporean Short Stories 1, please sign up. Jason Erik Lundberg was born in Brooklyn, New York, grew up in Raleigh, North Carolina, and has lived in Singapore since 2007. He is the author of books for adults—including Red Dot Irreal (2011), The Alchemy of Happiness (2012), Strange Mammals (2013) and Embracing the Strange (2013); books for children—the six-book Bo Bo and Cha Cha picture book series (2012–2015) and Carol the Coral (2016); and Jason Erik Lundberg was born in Brooklyn, New York, grew up in Raleigh, North Carolina, and has lived in Singapore since 2007. He is the author of books for adults—including Red Dot Irreal (2011), The Alchemy of Happiness (2012), Strange Mammals (2013) and Embracing the Strange (2013); books for children—the six-book Bo Bo and Cha Cha picture book series (2012–2015) and Carol the Coral (2016); and more than a hundred short stories, articles, and book reviews. His writing has been translated into half a dozen languages, and seen publication in venues such as Mānoa, the Raleigh News & Observer, Farrago’s Wainscot, Hot Metal Bridge, Strange Horizons, Subterranean Magazine, The Third Alternative, Electric Velocipede, and many other places. His work has also been shortlisted for the SLF Fountain Award, Brenda L. Smart Award for Short Fiction, SCBWI Crystal Kite Member Choice Award and POPULAR Readers’ Choice Award, and honourably mentioned twice in The Year’s Best Fantasy and Horror. Lundberg has been the fiction editor at Epigram Books since 2012 (where many of the books he's edited have won multiple awards, and made various year’s best lists), and has served as a prose mentor with Singapore's Creative Arts Programme and Ceriph Mentorship Programme. In addition, he is the founding editor of LONTAR: The Journal of Southeast Asian Speculative Fiction (2012–2018), series editor for the biennial Best New Singaporean Short Stories anthology series (2013–2019), editor of Fish Eats Lion (2012), and co-editor of A Field Guide to Surreal Botany (2008) and Scattered, Covered, Smothered (2004). From 2005–2008, he facilitated an occasional podcast called Lies and Little Deaths: A Virtual Anthology. A 2002 graduate of the prestigious Clarion Writers Workshop, Lundberg also holds a Master's degree in creative writing from North Carolina State University. He is an active member in PEN America, the Science Fiction & Fantasy Writers of America, the National Book Critics Circle, and the Society of Children’s Book Writers and Illustrators.